Indian, Punjabi wedding photography has come of age in a very big way! Gone are the days when Wedding Photography was merely a formality that involved clicking just point & shoot family portraits & group photographs. The Indian wedding scenario has changed by leaps today & we now see a more artistic & fine-art approach & outlook to Indian Wedding Photography. Wedding Photography is something that always grabs our attention and makes us more passionate every time we hear about it. At Nagi Studio, we strive hard and work with perfection, so you don’t have to face any problem while capturing the lovely moments of your life. 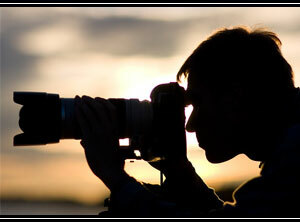 We provide services like Digital Photography, Candid style of Photography, HD Photography and Cinematography. In Punjab, there are number of wedding photographers who can simply click the pictures and give you the snapshots, but it is our team who leave no stone unturned to make it an unforgettable moment of your life. We own the ability to add style to your favourite moments and make it look like the natural moment at a single click. Based in Ludhiana, as a wedding photographer, we understand that wedding is something that happens only once in a lifetime and we do everything to make it the best moment of your life. We believe in creating ‘MEMORIES’ for our customers. So, we are capturing the moments of your house warming party, a corporate event, a birthday party or a wedding ceremony, we are here to help you every time with our high quality photography and videography service in Ludhiana, Punjab. Our work of wedding photography and wedding cinematography speak for themselves. So if you think Nagi Studio are the right place for you, just click below line to enquire now; we would love to be a part of your life.